Welcome to Kitsune Community Art Studio! 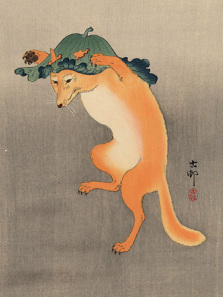 Kitsune is the Japanese word for fox. Stories depict them as intelligent beings and as possessing magical abilities that increase with their age and wisdom. I believe our magical powers expand when we tune into our inner knowing, and creativity is a wonderful way in. Come immerse yourself in creativity - get to your "aha" moment, climb out of ruts, travel through emotions, experience the joy and satisfaction of learning something new. Dive deep or frolic freely with all kinds of art materials: found objects, paints, pastels, papers, textiles and more.